17. That we breathe, that we showed up on this planet, that we communicate is a miracle. I have been speaking to a friend in the last few days about life and what it all means. You know the kinds of conversations that you tend to have with a loved one where you are going to save the world. When I looked at the statement for today I breathed a sigh of relief because it fell into sync beautifully with what has been a theme especially in the last few days. We are such a busy, time driven robotic society that sometimes we simply forget to show up. By this I mean we can be physically present in a place or time but what we fail to do is to be present. We can have a gazillion other things going on in our minds at exactly the same time. What we seem to dismiss time and time again is the miracles that surround us each and every moment. Stop for a moment and look around. Are you in your home? Are you on a phone? Are you surrounded by loved ones? Are you clothed? Are you warm? Are you having dinner tonight? Are you breathing? Well I truly hope you are breathing otherwise I am chuffed that you decided to tune in from the afterlife. In just a few moments are you able to feel and nourish the blessings of gratitude that surround you at this perfect time. Is it perfectly imperfect? I was speaking to a client today about depression and anxiety that was going on for them. We fight so hard to dismiss these feelings. It is not until they get us to a point in which we can no longer function that we tend to do something about it. As humans we try so naturally do anything but feel. We are not afraid to feel happy or blissful yet we navigate so harshly to deflect what we perceive as painful or too difficult to deal with. What is we just sat in our stuff and worked out why we got to that place in the first instance. We may not work it out straight away but allowing is far better than shovelling under the pile that has already existed for so long. So rather than being so harsh and depreciating on ourselves for not having done this or that, how about we just take a moment to honour ourselves just as we are. To show up and to be real and authentic in whatever it is that we are doing. Whether it is walking the dog, buying milk, taking out the garbage, running a country or whatever it may be, just be you. Rather than dissembling ourselves into fragments that we no longer recognise perhaps it is time to stop, breather, and show up and communicate, for this is the true miracle of life. Blessed be and so it is. Namaste. Every moment is a miracle. My life is filled with miracles. I am sitting in a transit lounge in Kuala Lumpur airport and feel so filled up with love and blessings. What a journey, what a week of triumphs, glory, heartache, grief and so many blessings in between. I have just spent a week with a group of people who I know will be in my life now and forever more. There is something uniquely special and magical about the tribe that we choose to surround ourselves with at any given times in our life. I know for me the people that I meet especially when I am working in Cambodia are connections that are full, authentic and filled with unconditional love. For me there is no other way than to be in my complete heart space when I am in Cambodia. The gratitude that I feel when I am situated in a third world country is overwhelming. Yesterday we had a meeting with the Project Manager with the school community that we work with. I began to feel heavy hearted about all the despair, poverty and disadvantage in Cambodia. After having had such a fulfilling week it felt tiresome to feel all of the injustices that have been prevailed and my body felt it. I was tired and weary. By the end of the day we had received an email telling us about the ripple effect that goes through the community after we leave and how much it makes people more determined to achieve more. My heart was full again. A miracle happened. This morning I got up and I felt lighter. I met a friend for breakfast but before I did I visited a Catholic church. I had felt an urge to visit all week and so this morning I did. There was a flyer that caught my eye. It read “To love and serve”; my heart felt that where I was exactly where I was meant to be. As I walked out of the church to my left was a statue of Mary and Jesus and for me it represented miracles. Regardless of belief and religion the connection of a miracle is simply what it is and in that moment I knew that I had felt a miracle of overwhelming peace. As I walked out of the church a monk walked passed. I knew I had felt all the signs I had been seeking and exactly why I was motivated to go the Catholic Church that I had passed every day while I had been in Cambodia. As I met my friend she had suggested that we go to the “Peace Café” and I simply smiled. No matter what happens in our lives there are miracles that surround us each and every moment we just have to be open to receiving them. Right now I can hear the giggle of a baby, the sweet sound of music, the chatter of my beautiful friends, I am breathing and I am alive. 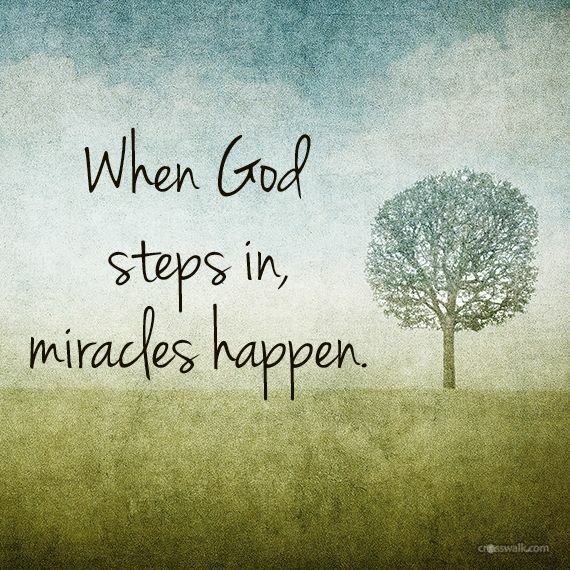 Miracles are everywhere. Every moment is a miracle. My life is filled with miracles. Blessed be and so it is, so it is done. Namaste.